Dogs born during summer months run a higher risk of heart and artery problems, according to a study published Thursday in the journal Scientific Reports. The seasonal difference was especially marked—74 percent higher in July than January—in breeds not genetically prone to cardiovascular disease, leading scientists to speculate that environmental factors such as air pollution accounted for the added summertime risk. "This finding is significant because the canine heart is a remarkably similar model to the human cardiovascular system," said lead author Mary Regina Boland, an assistant professor at the University of Pennsylvania. 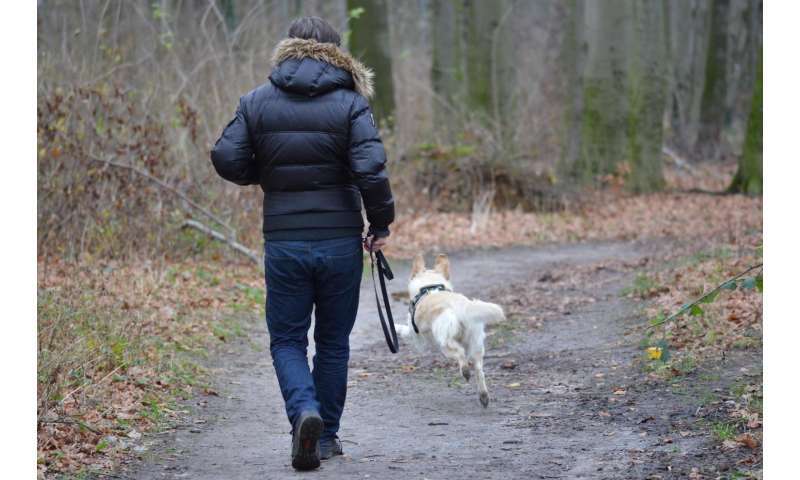 The fact that humans and dogs live together and are exposed to the same environmental impacts point to a common source for the heightened seasonal risk, she told AFP. In earlier research, Boland's team—examining health data for 10.5 million people in three countries—found that persons exposed in the womb to summer air pollution during the first-trimester of pregnancy had a nine percent higher chance of experiencing heart rhythm problems as adults. "Taken together, this study and the prior study in humans support the theory that early gestational exposure to fine air particles increases the risk of cardiovascular problems later in life," she said. For the new study, researchers combed through cardiovascular data for 129,778 dogs from more than 250 breeds. The breeds not genetically susceptible that wound up with heart disease in summer included the Norfolk terrier, Berger Picard, English toy spaniel, Border terrier and Havanese. More generally, the percentage of dogs with cardiovascular disease range from half-a-percent or less—including retrievers, pointers, bulldogs, dobermans, pugs and chihuahuas—to nearly two percent for hounds, collies and sheepdogs. A 2015 study that compared 1,688 diseases with health data for 1.75 million patients treated in New York City found that 55 diseases had a statistically significant link with birth month. Rates of attention deficit hyperactivity disorder (ADHD), asthma, as well as reproductive and respiratory diseases were higher from October to December, the study found. Do English bulldogs and other short-snouted dogs need special care in the summer heat?